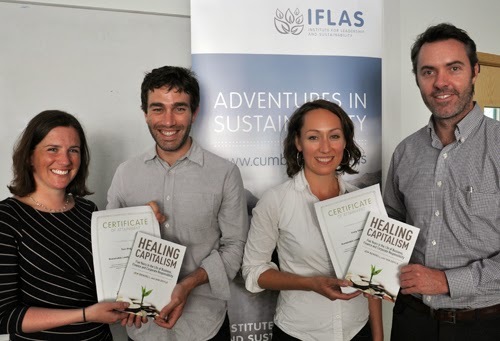 Scholarship winners Tom Shakli and Emily Oliver (centre) receive their certificates from guest lecturer Jane Burston and IFLAS director Professor Jem Bendell. On September 1st the inaugural cohort of the Post Grad Certificate in Sustainable Leadership will gather for a week in the Lake District. Lucky them! Around a dozen professionals in the broad field of sustainability are going to explore how to better lead change at scale. Im pleased we have also been able to offer scholarships to two of the participants. The scholarships have been funded by the Robert Kennedy College, which is based in Switzerland. Together with the University of Cumbria, RKC jointly delivers an MBA in Leadership and Sustainability, which regularly brings executives from around the world for a week’s residential study in the Lake District. Emily Oliver and Tom Shakhli, both from London, have been accepted onto the Postgraduate Certificate for Sustainable Leadership which will be delivered at both Ambleside and the university’s campus in the capital. 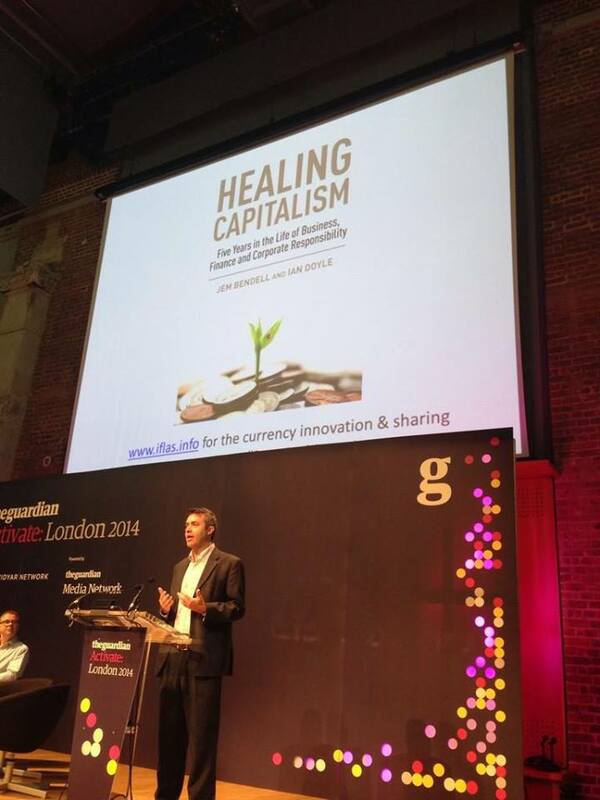 Tom Shakhli is co-manager of the Brixton Pound, perhaps one of the best-known community currencies in the UK. He said: “It is an exciting area of work to be in, because it feels like it’s the start of something bigger. There isn’t really a blueprint for success. That’s why I think it’s important that there are academic institutions such as the University of Cumbria that have departments dedicated to this area of work. Amongst other freelance projects, Emily Oliver has recently founded and currently co-manages FoodCycle Wandsworth and is keen to begin her studies. She said: “I’m aware that in order to further develop skills in organisational leadership, an understanding of sustainable strategy, and ability to nurture impactful results, I need to study them effectively.